We can help develop your conceptual designs to ensure that your structure is buildable, robust and durable from the start. We specialise in residential projects. 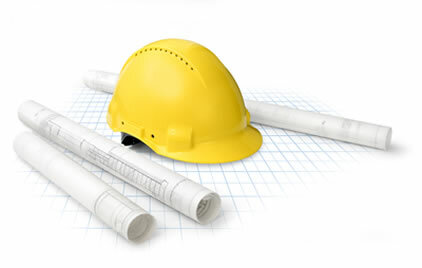 We can help you understand the requirements and choose the best materials for your project. Card & Online Payments Accepted Online. Utilising our expert design knowledge and innovative solutions, we can advise you at every stage of your residential project.. Your lifestyle has changed, it’s time to alter your home accordingly. Our professional team can produce designs, plans and calculations which transform the way you live. Have faith that the highest risk area of your build is on solid ground, with cost-effective, practical foundation designs from a team that specialises in residential projects. Your commercial premises could and should transform into residential homes that effortlessly rival any purpose-built property. Which, for Legacy, is business as usual. Our process integrates your design ideas and our engineering expertise from working on hundreds of diverse residential projects, to allow us to deliver a positive, forward-thinking design based on your requirements. Our experience spans from single beams to significant developments and everything in between! We will review your plans and provide valuable engineering suggestions to optimise your design solution, ensuring your project delivers the best results. We will also carefully plan the position and orientation of columns and beams, the span of floors and consider the most efficient foundation solution for you. Scary dealing with someone over the internet but can assure anyone wanting a professional service that is cost effective with a very quick turn around, just to go for it! We had very expensive quotes from others with weeks to wait for results. LEGACY STRUCTURAL DESIGN LTD came up trumps in more ways than one. Would highly recommend their brilliant service. Thank you again. Great service, very responsive and designed a solution to meet requirements. Would definitely recommend. First class professional service! Highly recommended supplier who delivers what they say, on time. Very thorough detail and clear explanations. Worked quickly with plenty of contact when it was needed. Great quality of work, great value for money. Highly recommended. Timely and precise. Very pleased. I don’t often write reviews but because of the fabulous service supplied by Chris i felt on this occasion it fully deserved a write up. From start to finish Chris was extremely professional and highly responsive to messages and emails as well as turning around the requirements and drawings in double quick time. Not only was the output of excellent quality but Chris gave several items of quality advice on various options regarding piling vs foundations. In addition to the terrific service I would also like to add how competitive Chris was on pricing beating most other quotes I had received I would urge anyone looking for this skill set to use Chris and his company as I cannot emphasise enough how refreshing it was to deal with such a professional individual. Brilliant and efficient. Took on board design queries and variations and delivered within a week or so. Would definitely recommend. Chris was a pleasure to deal with, he got the design completed on time and took into account my specific requests. Our structural design combines innovative conceptual thinking with extensive knowledge of practical aspects, such as health and safety, and buildability to ensure your structure is economical, environmental and aesthetically pleasing. Our investment in the latest software enables us to use 3D analysis to produce efficient designs which comply with the most recent British or European Standards. All calculations are presented in a clear electronic format which can be issued to our clients, architects and other affected parties. We work in partnership with architects and contractors to help you achieve your design goals and find the most economical structural solution. We combine our experience of thousands of projects, working with modern construction materials, with the latest 3D design software to create an approach to economically achieve your design goals.